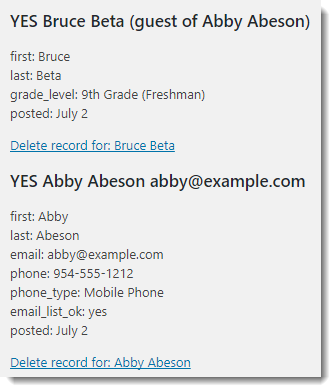 This small feature update came in response to a request from a user who was planning an event for which parents will register their themselves and their children. The event organizers need some additional information about the children, such as grade level. 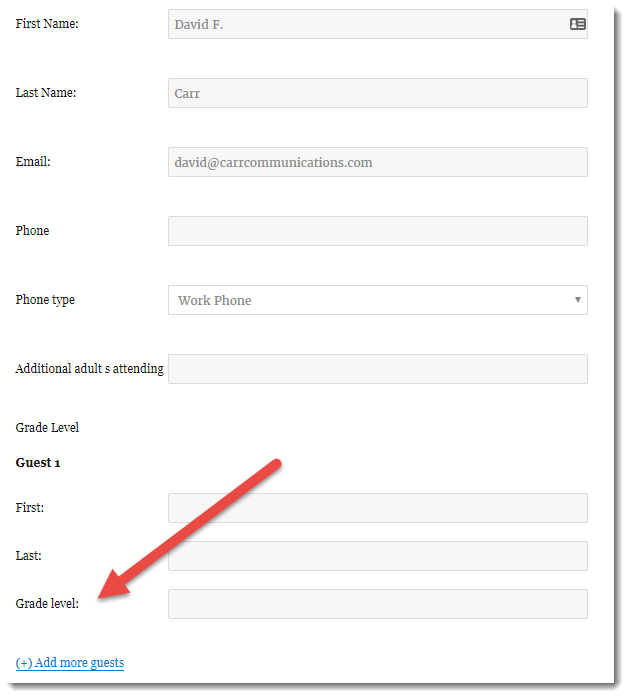 RSVPMaker already allowed you to set up a registration form where some fields included on the main form will not necessarily be displayed on the guest form. 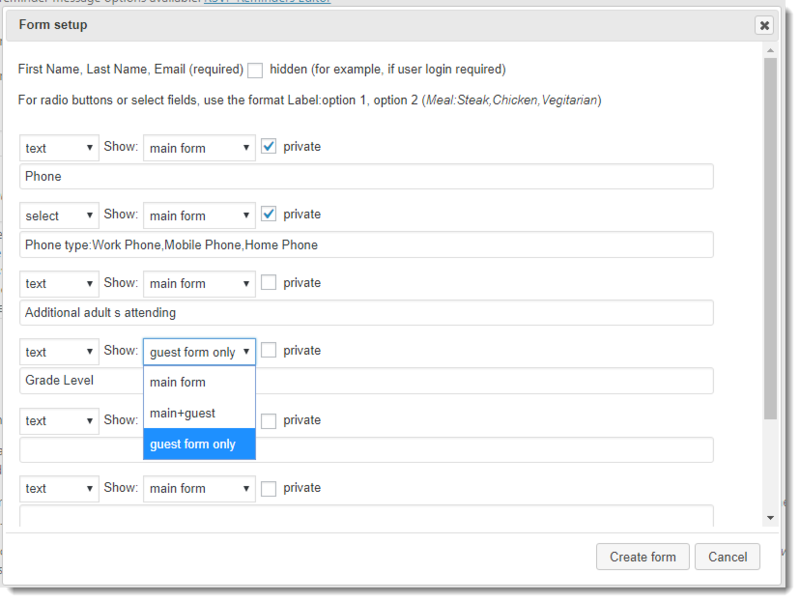 Now you can specify that a field should be displayed only on the main form, on both the main form and guest form, or only on the guest form (not the main form). Host and guest (parent and child in this example) on the RSVP Report.